(A) Using a CLG with both short-run and long-run Phillips curves and the relevant numbers from above, show the current long-run equilibrium as point A. 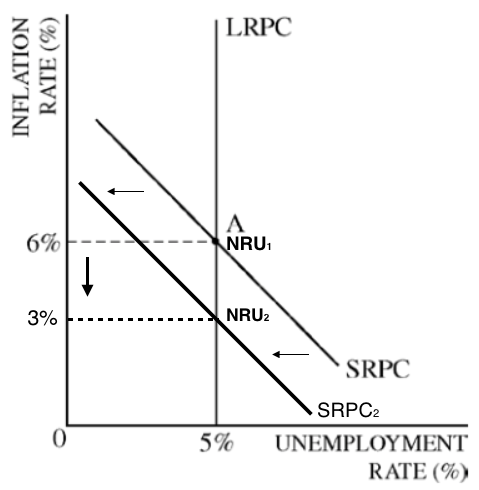 Understand that the expected inflation rate in long-run equilibrium is the NRU (Natural Rate of Unemployment) --- A is the NRU. 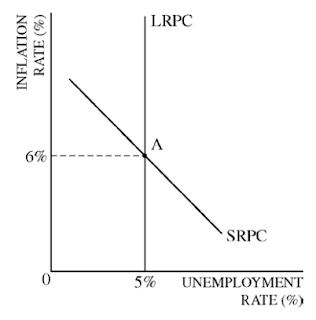 (B) Calculate the real interest rate in the long run equilibrium. 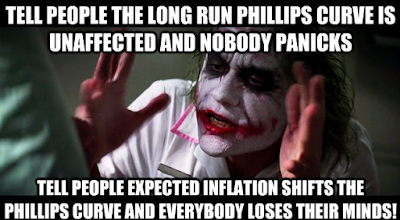 (C) Assume now that the Fed targets an inflation (price level) rate of 3%. What open market operation should the FED undertake. If the FED sells bonds (Contractionary policy) it will reduce the Money Supply raising the nominal interest rates. 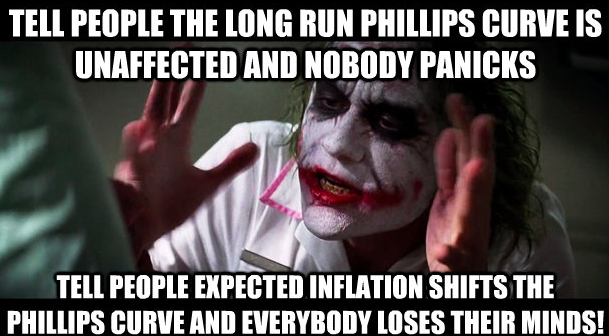 Think about it: if the inflation rate (PL) is 6% and the FED wants a lower price level (inflation rate) then it needs to decrease the (C) and (I), consumption and investment. 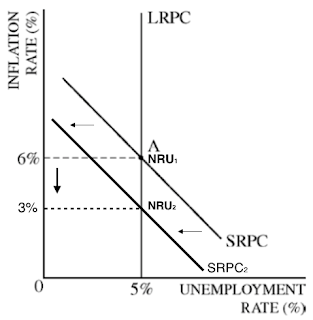 It needs to lower the PL by decreasing the AD (aggregate demand). AD decreases and the PL / Inflation rate falls from 6% to 3%. 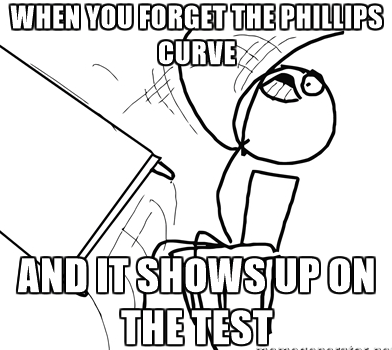 Looking at you college board. 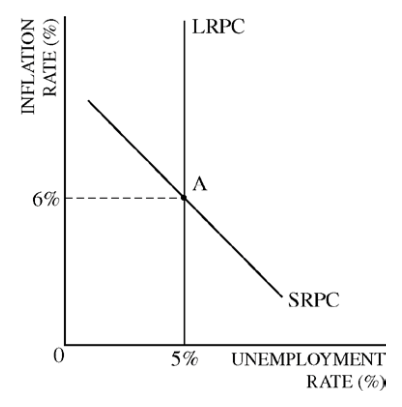 (D) Using a CLG of the money market, show how the actions of the FED in part (C), will affect the nominal interest rate. You must have recognised that selling bonds was contractionary. 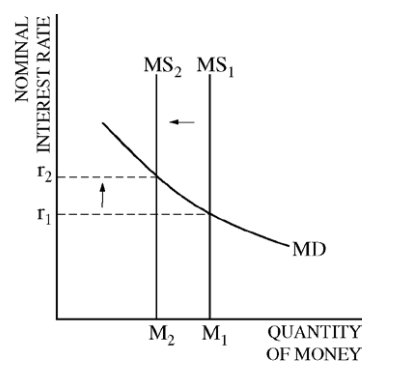 (E) How will the interest rate change you identified in part (D), affects aggregate demand in the short-run. (F) Assume that the FED's actions are successful. What will happen to the following as the economy approaches a new long-run equilibrium.